Got a small garden in need of some work? Then we’ve got the perfect garden design ideas for you! If you have a small place in your garden that you’d like to transform into a special place for relaxation and enjoyment, consider these basic garden design ideas to help you get started! Just like creating a masterpiece, the enjoyment of conjuring up garden design ideas and implementing them out into the garden design is not just about the end result. Rather, it’s the enjoyment you get from designing and creating a garden where the fun is to be had. From thinking through your garden design ideas and carefully considering how the garden will look right down to planting the very last plant, gardening is considered an art form. It is an opportunity to construct your very own sanctuary where you can relax and enjoy a great book or simply collect your thoughts and ponder about the simple beauty of life itself. Here are 3 basic garden design ideas to consider before tackling your garden project. Measure up your space and draw it to scale on paper. The primary thing that you would need to do is check just how much space your garden provides for you to work in. Many times, people who undertake a gardening project find themselves imagining a grand design only to be frustrated by the fact that there is simply not enough space in the garden for them to work in. By checking and measuring up your garden space, you will be able to understand more realistically what you can and can’t do. Start be measuring up the space and note anything that will stay. You then simply transfer these dimensions and notes onto a sketch pad. Try and draw you plan to scale. If its a small space a 1:100 scale is ideal. That means every 1 cm = 1 mtr. Once you have this plan place some tracing paper over the plan to rough out a variety of garden design ideas. Figure out which areas of this space will be allocated to hard and soft landscaping. If considering hard landscaping, what will it be? A deck, paving, small pergola or gazebo or water feature. 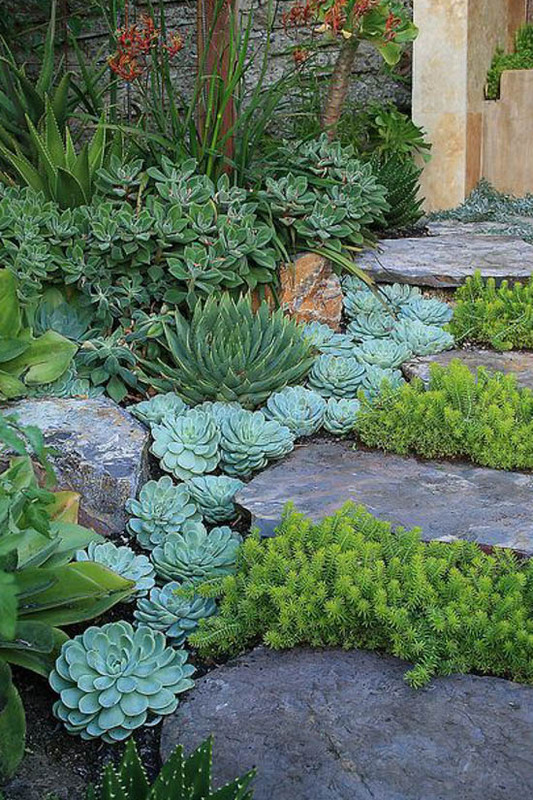 For the soft-scaping consider your plants and do your homework first. what are you going to put where?, don’t just think you know how big a plant will grow, google it!! Copy and paste images of the plants your considering onto a word doc. and when you’ve settled on a list. Visit your local garden centre to check that all the plants your after and make sure they can be grown in your area and are available. When considering your new garden try to allocate an area where you can add some shade to complement the look of a garden. This shade would in time provide you a place where you can sit and relax in the garden once the project is completed. For large garden spaces, planting a tree at a certain corner of the garden would be ideal. For a small garden space, consider an arbour with flowering vines planted at the sides to eventually cover the top of the frame with green leaves and delicate flowers. Or maybe a small deck with a basic pergola and roof covered in shade-cloth and maybe a pond butting right up to its side. Planting foliage on 2 sides of your seating space with 1 side of entry is a simple and easy way to create a classy, value adding relaxation area. If you just have a corner in a garden. Plant a beautiful small shade tree. Maybe to start with you could plant some sun loving plants around the tree and then eventually lean towards the more shade tolerant as the trees grows larger. Many garden design ideas include a water feature like a small fountain or waterfall. The running water contributes to the cooling effect of the entire garden. The gentle sounds of tricking water aids relaxation and calms the senses after a day of work. There is such a huge variety of water features for you to consider. Try and select something that fits in with the theme of the space you are creating. If you are creating a modern garden theme, stick with a modern shaped water feature. Many make the mistake of installing greek urns in modern gardens and it rarely works. A greek urn is best suited to a flowering perennial garden!! 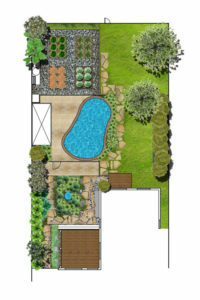 Your garden design ideas will start with a concept plan. Draw up the space you have to play with onto a scaled plan. 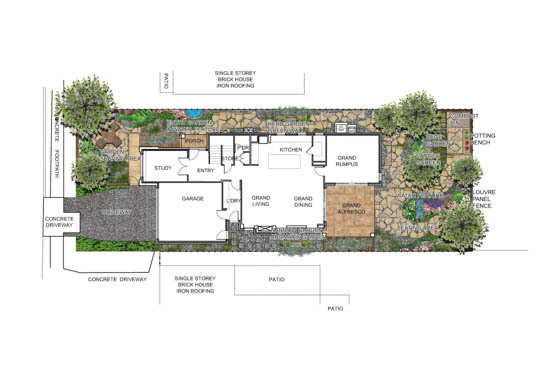 Figure out which areas of this space will be allocated to hard and soft landscaping. If considering hard landscaping, what will it be? A deck, paving, small pergola or gazebo or water feature. For the soft-scaping consider your plants and do your homework. By the time you’ve got through all that thinking. Get some quotes to ensure it all fits into your budget and get started on making your garden design a reality!! 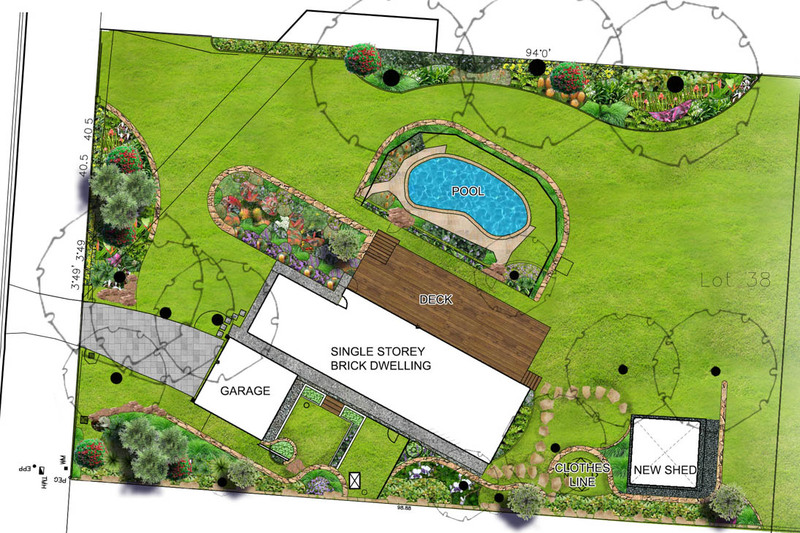 *All garden design concept plans in this blog post are designed by Grotec Landscape Solutions.